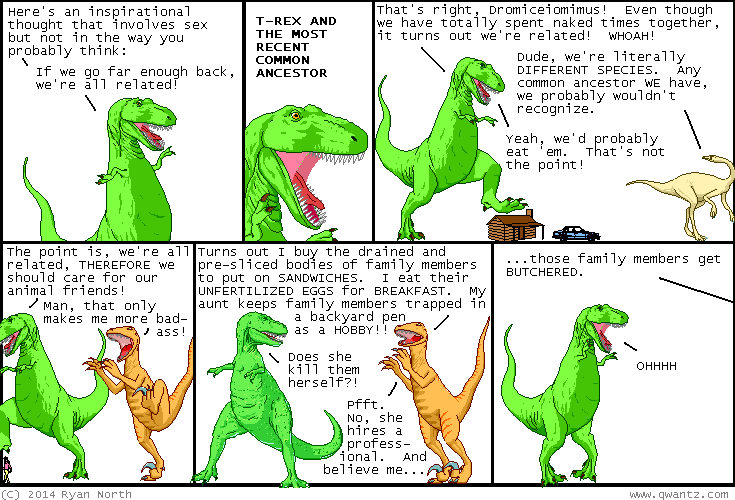 Dinosaur Comics - November 3rd, 2014 - awesome fun times! –I WOULD LIKE TO EAT THE WINGS OF A CHICKEN! November 3rd, 2014: HEY GUESS WHAT?? Adventure Time #33 is out now! You can read a preview here, read a REview here, and buy the book digitally or at your local comic book zone!! One year ago today: "Wow I can't believe I'm talking to Stephen King!" "Yes and as I can't see what letters you chose there I can agree to that with a clean conscience!"